A Will is one of the most important documents you will sign in your lifetime and deserves careful consideration and thought. The content of the Will is very personal to your circumstances. We at Liston & Company appreciate this and take care to thoroughly discuss this with you and to advise you on the best way to fulfil your wishes taking into account the inheritance and tax laws. If there are young children then issues such as the appointment of guardians and trustees need to be considered. If there is a business it is important to think about the appointment of a separate business executor. Your surviving spouse may not thank you for the additional headache of running a business at a time of bereavement. No two Wills are the same as no two persons’ circumstances are the same. 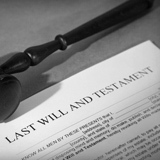 We take care to fully discuss all of the relevant issues as our experience is that in preparing a Will a client wants to rest assured that everything that can be done has been done to ensure that their family and friends are looked after and that their wishes will be carried out. An Enduring Power of Attorney allows you to appoint someone to act as attorney in the event that you lose your mental capacity in the future. It is like a legal “insurance policy” to make sure that there is someone who can look after your affairs if at some stage in the future you are unable to do so. It does not take effect unless you do lose capacity and is a much more personal and less expensive alternative to being made a ward of court. We can advise you on the drafting and preparation of an enduring power of attorney.